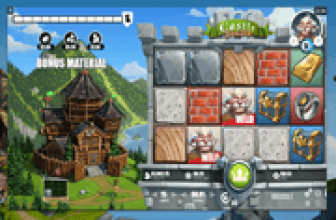 Drive Multiplier Mayhem – NetEnt Video Slot with an Abundance of Wild Multipliers! Drive Multiplier Mayhem, a NetEnt online video slot entitled as such as the game is filled with Wild Multipliers. In both main game and bonus round spins, Wild Symbols with Multipliers appear not only to help create multiple and top paying wins; but also, to increase payouts several times over. Throughout the reel-spinning engagement, slot players have great chances of landing on Big Wins, especially if Wild Multiplier Symbols helped in completing one or more of the 15 available paylines. A slot player assumes the role of Jette, a female racecar driver competing against racing opponents named Twitch, Hamaki and Bruiser. In order to qualify for the competition, players must trigger the Drive Multiplier Mayhem Free-Spins Bonus Round. Wild Symbols are usable as substitutes for regular icons appearing in any of the 5 reels. 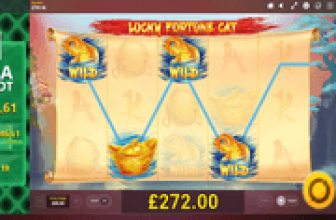 In this NetEnt online slot game, each Wild has a Multiplier Factor based on the ordinal number of the reel in which a Wild Symbol appeared. Let us say a Wild emerged in Reel 1, the corresponding Multiplier factor of that symbol is 1x. If it appeared in Reel 2, Reel 3 and/or Reel 4, it follows that the Wild Multiplier Factor is 2x, 3x and/or 4x respectively. Payline wins completed via substitution actions will then earn payouts in fold, as the coin rewards will be doubled, tripled, quadrupled, or even quintupled, all in accordance with the Multiplier Factor of the Wild that helped achieve the win. Actually, the factor could be even greater if more than one Wild Multiplier Symbol emerged after a spin. If a Wild Multiplier emerged in Reel 2 (2x) and another in Reel 3 (3x), the prevailing multiplier factor for the highest matched symbol combinations completed by those Wild Multipliers is 6x (2x.3x). Landing on matched combos in the Drive Multiplier Mayhem Bonus Game therefore would be highly rewarding. After all, players will be playing with bet-free spins that could potentially produce payline matches formed with Wild Multiplier Symbols. In order to activate the Drive Multiplier Free-Spins Round, players must land on three (3) Bonus Scatter Symbols in the main game. The Bonus Scatter Symbol of this video slot appears only in Reels 2, 3, and/or 4. A Drive Multiplier Mayhem bonus game starts with Level 1, by awarding players with 10 bet-free spins as initial rewards. Here, Jette will compete against Twitch in order to level up. To help Jette achieve her goal, slot players must collect bonus game icons called Nitro Symbols. Nitro Symbols are special bonus game elements that emerge only in Reels 2, 3, and/or 4. A Nitro Symbol Collect-Meter located on the left side of the screen keeps track of the number of Nitro Symbols that emerged after a bonus spin. Three (3) of such symbols would be enough to trigger the activation of more free spins and additional Wild Multipliers. Another Amazing Video Slot from NetEnt! 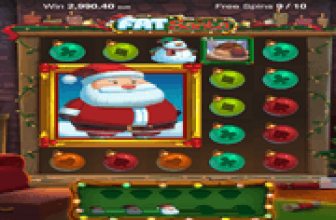 Drive Multiplier Mayhem is another amazing online video slot by NetEnt as it has an abundance of Wild Multipliers that multiply Wild-Win payouts and Multiplier Factors as well.